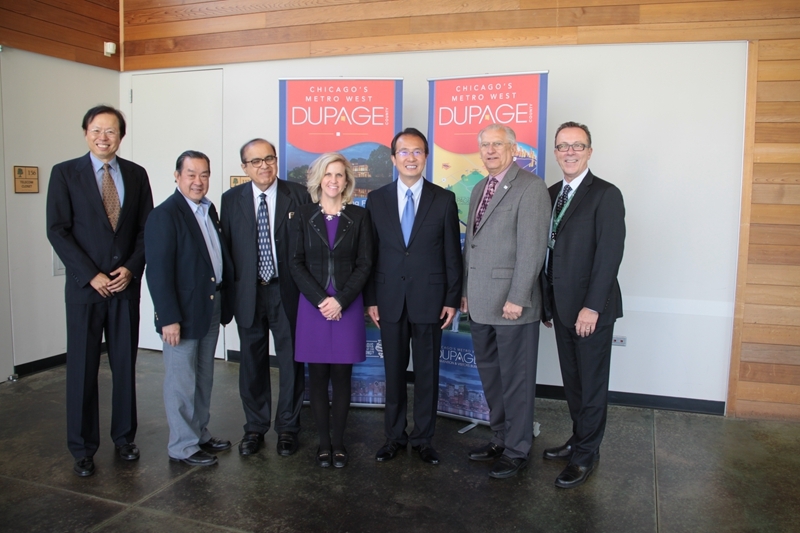 On October 14, Consul General Hong Lei paid a visit to the city of Naperville, Illinois, and delivered a speech at a luncheon attended by more than 50 people including Naperville Mayor Chirico, City Councilwoman Gustin and Geneva Mayor Burns. 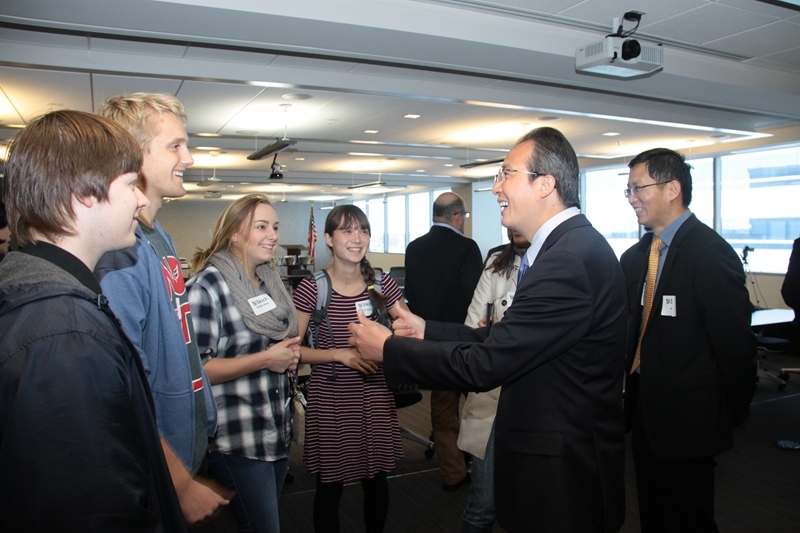 Consul General Hong Lei said that, after visiting to all the nine states of his consular districts since he took office two and a half months ago, he was deeply encouraged by the interest and enthusiasm of people from all walks of life in developing China-U.S. cooperation and exchanges. In 2015, the bilateral trade volume exceeded 560 billion US dollars and China has become the largest trading partner for U.S. Two-way investment has grown to more than 150 billion dollars from the negligible amount at the beginning of our bilateral relations. The two countries have established more than 90 dialogue and cooperation mechanisms, such as Strategic and Economic Dialogue and High-level Consultation on Cultural Exchanges, maintaining close communication and coordination and playing an important role in promoting global economic growth, addressing climate change, energy security, food security, Iranian nuclear issue, the Korean Peninsula nuclear issue and other global challenges and hot issues. 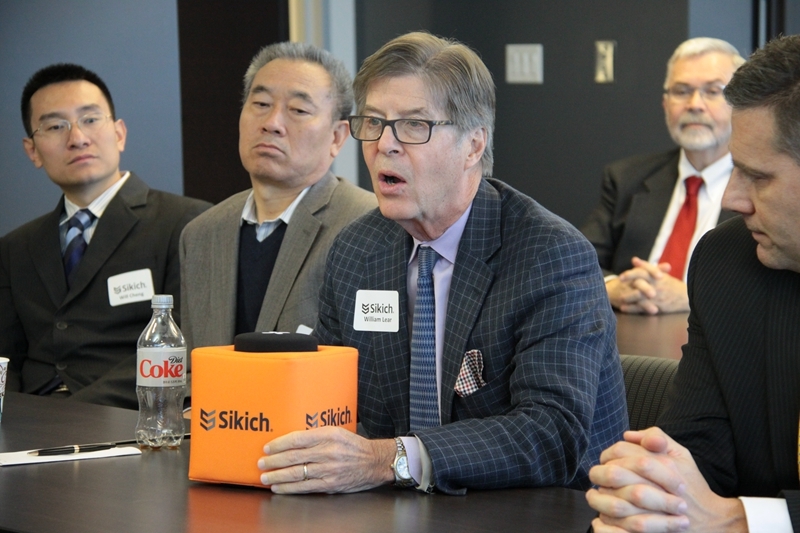 Consul General Hong Lei said that, given the comprehensively deepening of China-U.S. relations, the exchanges and cooperation between China and the Midwest regions of the United States have entered a new stage. In 2015, the trade volume between China and the nine states reached 92.6 billion dollars. Over the past 15 years, Chinese investment in the nine states has accumulated to 13 billion dollars, creating more than 30,000 jobs and thus played a positive role in pushing local economic development. In the meantime, the cultural exchanges between China and the region are also flourishing. More and more Chinese artists and art troupes are coming to the states for performance, bringing the Midwest people the authentic Chinese culture feast. 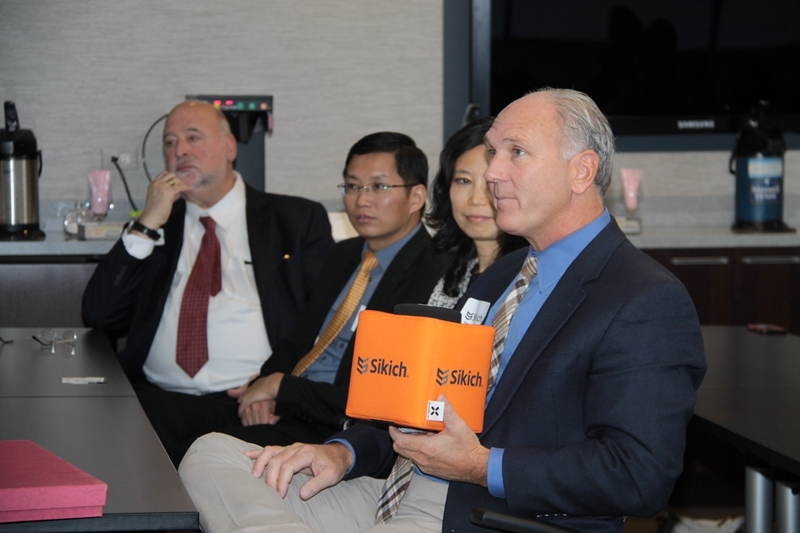 The total number of Chinese students studying in the universities of this region has reached 70,000, of which more than 5600 Chinese students are studying in the University of Illinois at Urbana-Champaign. Consul General Hong Lei said that China is deepening reform and broadening the opening level to promote the economic structural adjustment. 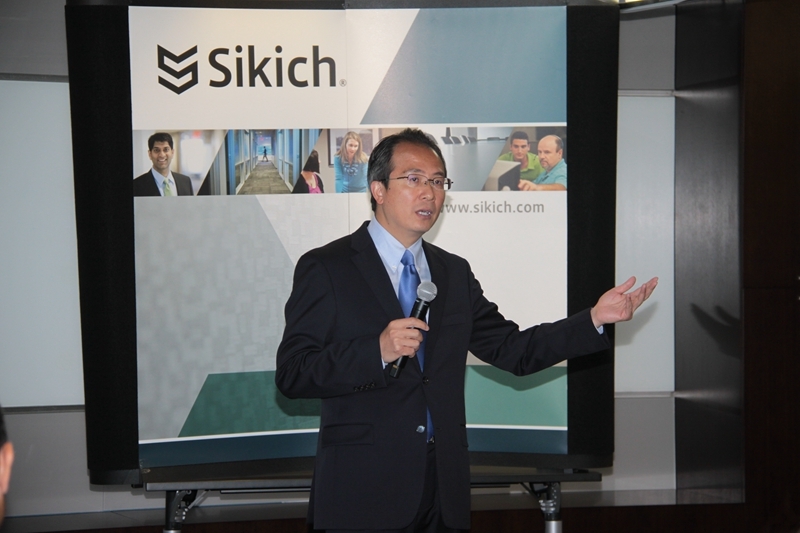 China's market will be more open in the future, and the US high-quality products and services will be more popular. 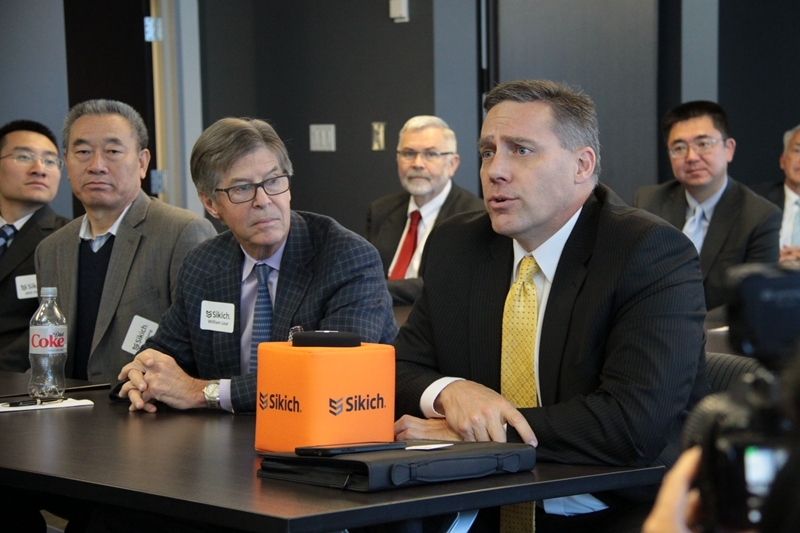 We believe that with the increasing exchanges and cooperation between the two countries, more and more Chinese enterprises and students will choose to invest and study in the United States. Chinese Consulate General stands ready to work with the U.S. friends to bring the China-U.S. friendship and cooperation to a new high. 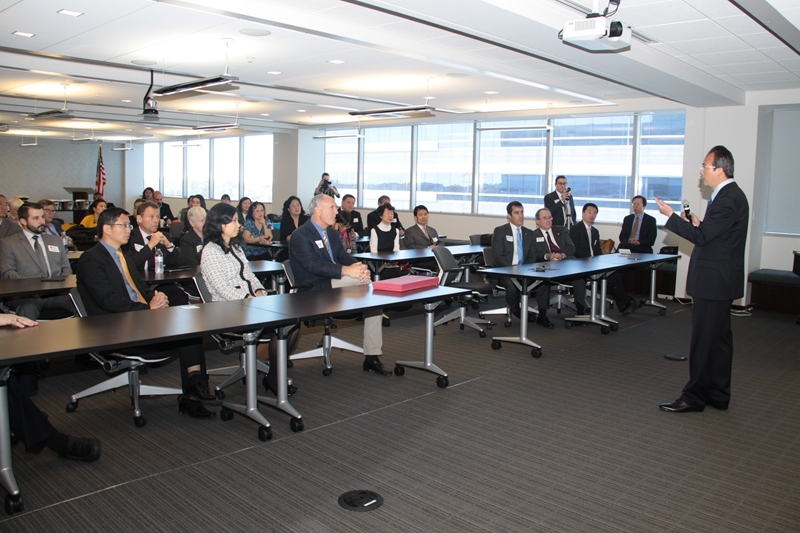 Consul General Hong Lei also answered questions on the issues of China-U.S. cultural exchanges, educational cooperation, cooperation between the US and Chinese SMEs at the end of his speech. 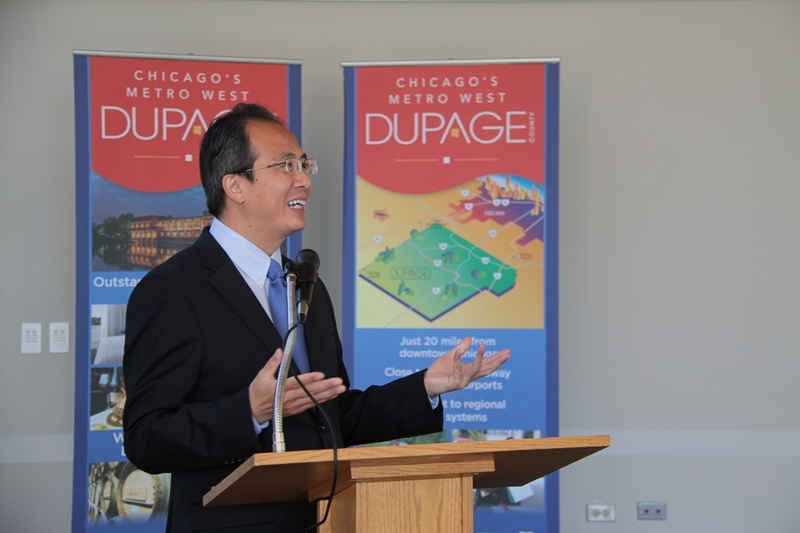 Mayor Chirico welcomed Consul General Hong Lei to the city of Naperville and said Naperville is second only to Chicago in terms of Chinese population. 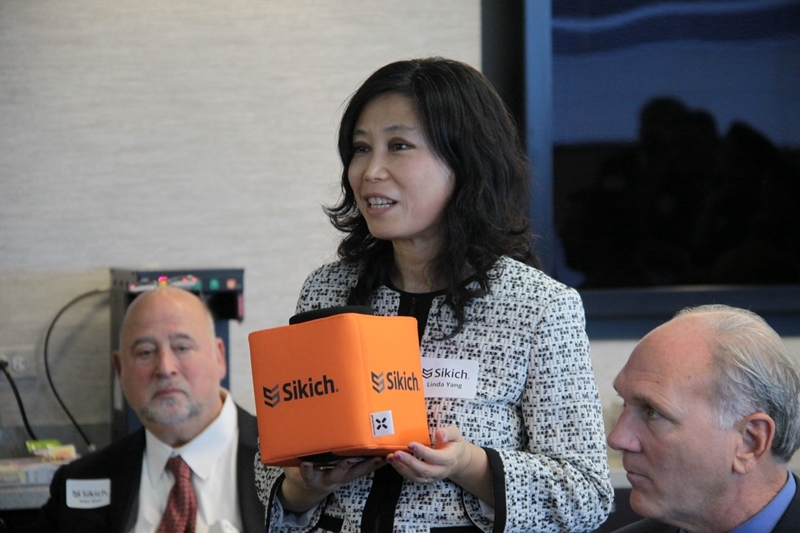 Chinese residents have played an important role in promoting economic development in Naperville. 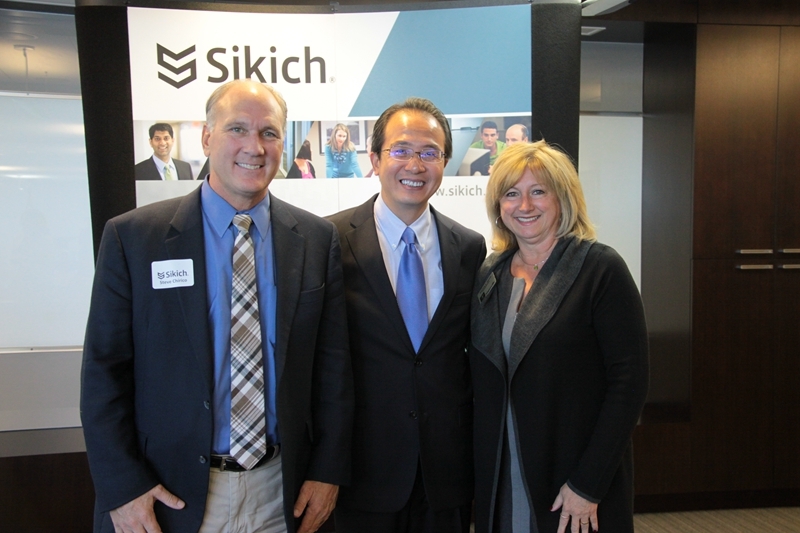 The City of Naperville welcomes more and more Chinese investment. 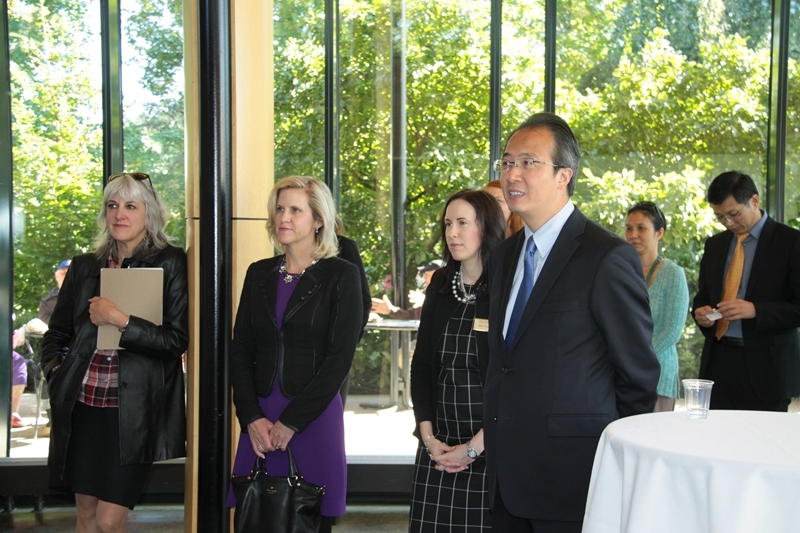 On the same day, Consul General Hong Lei also attended a reception held at Morton Arboretum. Dupage County Board Memebers Khouri, Wiley and Dicianni, Lisle Mayor Broda and Oak Brook Mayor Lalmalani attended the reception. 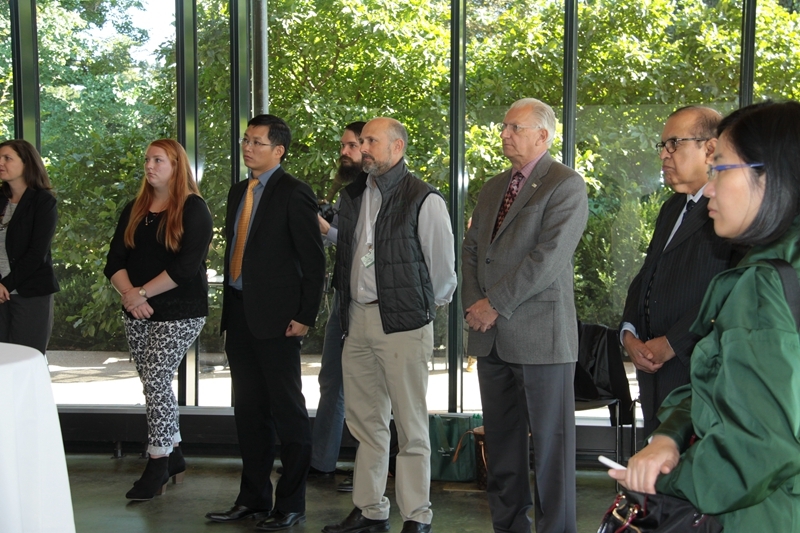 Deputy Consul General Yu Peng attended the above events.